On our drive, we made a quick detour up to a lookout. The surrounding landscape was diverse in its appearance, and stunning no matter which direction you looked. The steps up to the lookout may have been roughly made, but the climb was more than worth it. Our arrival at Cape Vidal was met with a welcoming committee of adorable monkeys, several of whom were very interested in exploring the contents of our drawstring bags. If you ever make it to Cape Vidal, my biggest piece of advice that you may not otherwise hear before your trip, is to be wary of the monkeys and their sneaky ability to open drawstring bags. Luckily for me, I did not fall prey to their antics. Cape Vidal boasts spectacular fishing sites, as well as the chance to spot migrating Humpback whales. During the summer months, turtles arrive to lay their eggs in protected areas. The reefs are plentiful in the area, providing a great back drop for snorkeling, while the Indian Ocean delivers strong waves for surfers. 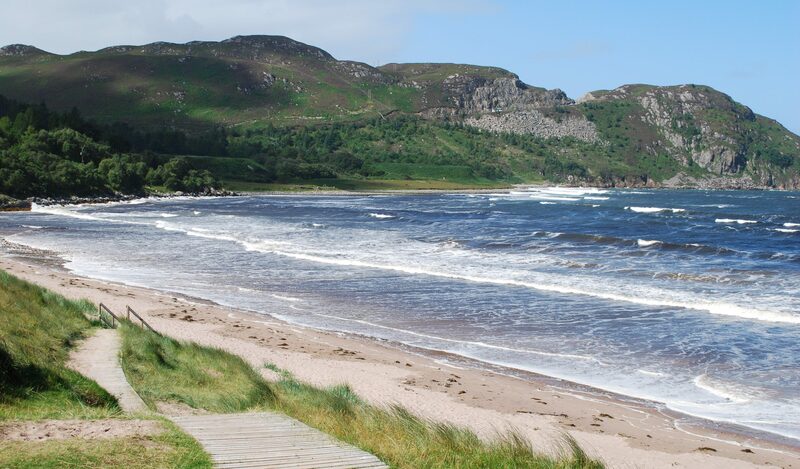 Even if water sports aren’t your cup of tea, just picture how happy you would feel wandering down this sandy shore. After sunning on the beach, we moved ourselves into the ocean along with my trusty underwater camera for some water-related fun. I don’t remember the last time I laughed harder. The waves can really knock you over here, but unlike Jabula Beach, the current wasn’t an issue for how close we were to the shore. Sharks do occasionally frequent the area, but since you’re not in the movie Jaws, you likely won’t have to worry. Games, lunch, and sandy-seated chats filled most of the rest of our time, as we lazily spent the day enjoying the area and all our new-found friendships. A long walk in the shallow surf gave way to a surprise guest appearance – crabs! This was the first time I can ever remember seeing so many crabs at once and so close up (seriously – this picture does not show how many were truly surrounding us). As the waves rolled in, bringing water up to our calves, the crabs arrived. They scuttled around as the water receded, and we did our best to not move for fear of stepping on them. When we finally said good bye to Cape Vidal, we were blessed with one more sight on our drive back to the hostel – a beautiful black rhino, grazing in the grass nearby. Seeing this stunning animal hammered home the reality of their status as critically endangered. The next morning, we had one final event – a walking safari. Our safari started out excellently. One of the tour leaders, St. Lucia local Johan, was our guide as we made our way by foot. Unfortunately, our safari was cut short. Not long after we crossed over the fence (via a ladder-like set of stairs with a platform connecting them) into the game reserve, we came face to face with a buffalo in the distance. Although he was not close to us, his mannerisms turned to that of an animal watching us warily and perhaps ready to mark us as a threat. Johan waited for a few minutes to see if the buffalo would choose to ignore us, but in the end he decided it was not safe to continue on. To console ourselves, we headed over to our sunset spot for our final sunset in St. Lucia, South Africa. It was hard to say farewell, and we cheers’d to the memories we had already made on this trip, and also to those we would still make in our last days. It was the perfect send off to what had thus far been an unforgettable trip. All the memories I made during my time in St. Lucia will be with me always. Everything I experienced, everyone I met, and everything we saw just reaffirmed that my love for South Africa had only intensified, and that I will be back one day. Until next time, South Africa. Have you ever had a safari halted by an animal marking you as a threat?